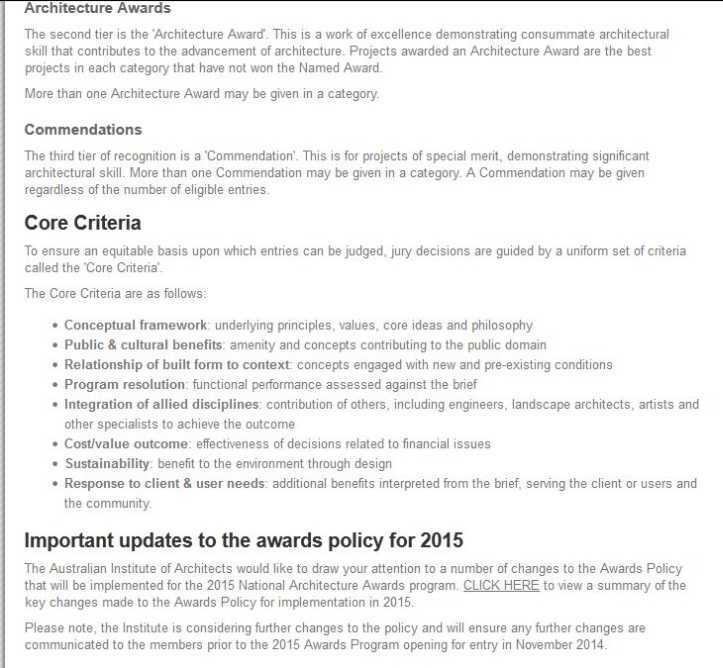 Give me name of awards provided by Australian Institute of Architects Heritage ?? 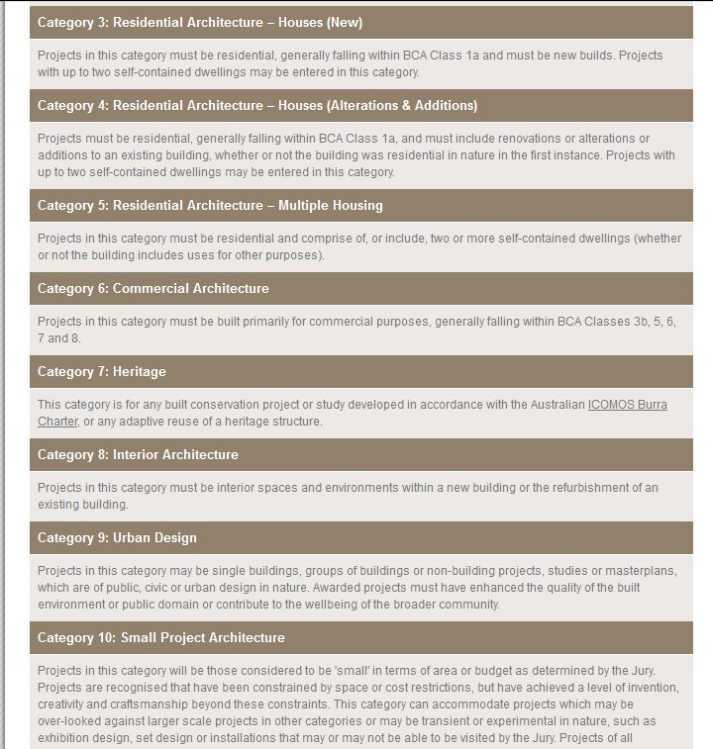 The Australian Institute of Architects is a professional institute for architects in Australia. 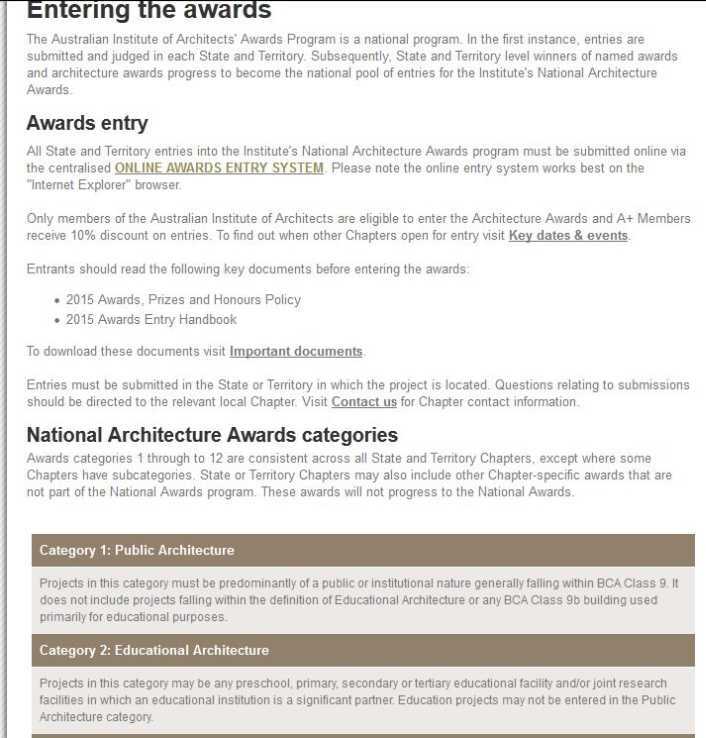 The Australian Institute of Architects' Awards Program is a national program. Firstly, entries are submitted and evaluate in each State and Territory. 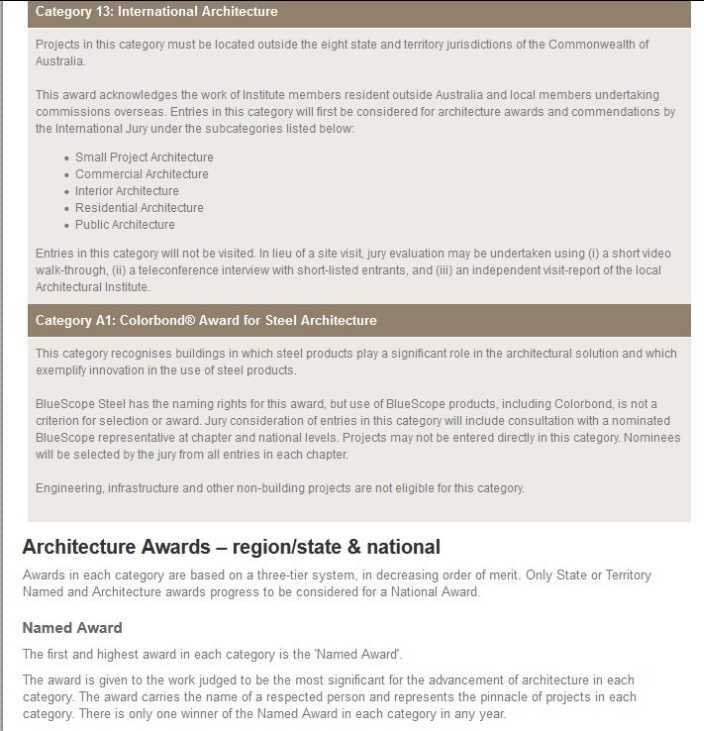 Then, State and Territory level winners of named awards and architecture awards progress to become the national pool of entries for the Institute's National Architecture Awards. All State and Territory entries need to be submitted online via the centralized online awards entry system. 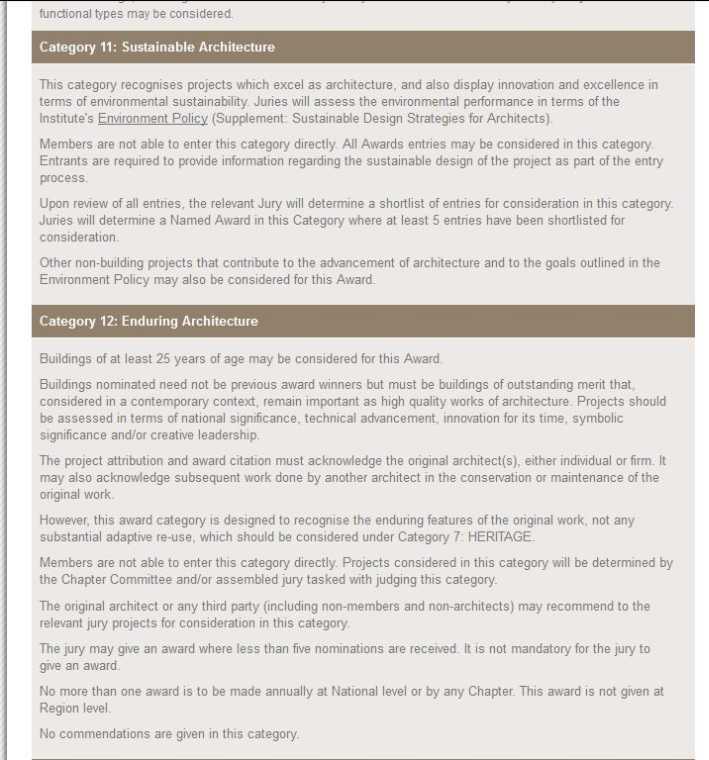 Only members of the Australian Institute of Architects are eligible to enter the Architecture Awards and A+ Members receive 10% discount on entries. To find out when other Chapters open for entry visit Key dates & events. Awards categories 1 through to 12 are consistent across all State and Territory Chapters, except where some Chapters have subcategories. State or Territory Chapters may also include other Chapter-specific awards that are not part of the National Awards program. These awards will not progress to the National Awards.